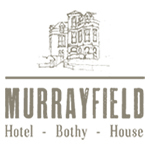 Enjoy an weekend away with a stay at The Murrayfield Hotel & House including a delicious Scottish breakfast for two people in a Classic double or twin room. Enjoy an weekend away with a stay at The Murrayfield Hotel & House including a delicious Scottish breakfast for two people in a Luxe double or twin room. Stay must be prebooked on 0131 622 2902 & cannot be redeemed towards a booking made online or with a third party agent. Voucher valid either on a Friday/ Saturday or Saturday/Sunday, not valid in the month of August, New Years Eve, Rugby Internationals and is subject to availability. Further minimum night restrictions may apply.